Well, not only are the butterflies distressed but pretty much every piece of paper on this card is distressed. 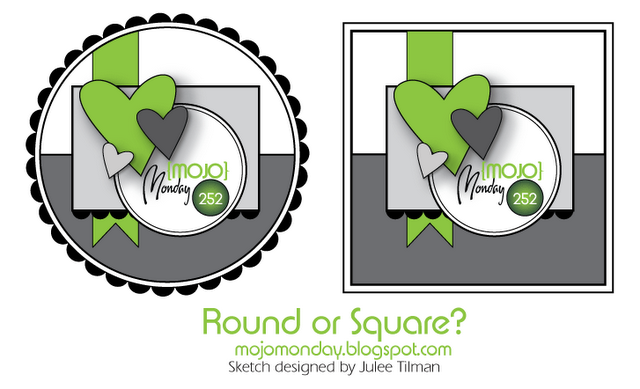 I’ve used the MOJO Monday layout from the amazing Julee Tilman. This card is also part of the Dare to Get Dirty challenges over at Splitcoast. In case you’re not familiar with these fun challenges, each and every year the current and former Dirty Girls (perhaps you need to head to Splitcoast to understand this term??) put up a whole bunch of challenges for those of us that are Fan Club Members. And, then a lot of fabulous prizes are donated by the Splitcoast member companies for those that choose to participate. It’s a blast! Just lots of distressing, sponging and some sewing on this. A wee tiny bit of bling on the sentiment too! Again, I’ve stamped off an image before stamping it on the sentiment circle and then stamped the actual sentiment over top. Today, I tried a zig-zag stitch for a change…normally I like the look of free-hand quilting but wanted to try something a little different. Well my beautiful blog buddies…that’s it for today. I so appreciate you spending time with me! Hi Lee-Anne, great take on the challenge and I love the paper! Lee-Anne, this card is absolutely wonderful! Wow! I love the sketch, but you took it to a whole new level with your unbelievably wonderful papers and design. This is major eye-candy!!!! Such a scrumptious card. 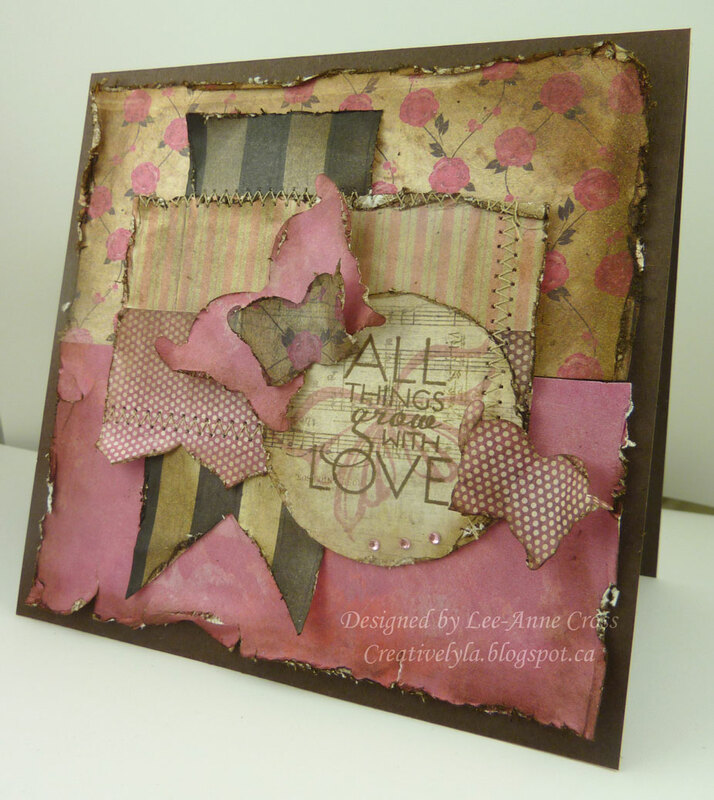 Love the distressing and the wonderful pinks and browns.